Warnings of looming pension bankruptcy aren’t just overblown. They’re politically dangerous. Nearly seventy million American workers and their families rely on defined-benefit (DB) pension plans for retirement income. In 2011, twenty-eight million worked in state and local government, and another forty million were in the private sector. They are the lucky ones. About half of the workforce has no pension at all. Employers are trying to slash compensation, and pension benefits represent one component of this package. Enemies of the working class often couch their attacks on pay in practical terms: a worker hurts her company and herself by expecting a high salary, for example. When it comes to pensions, they argue that the funds are bankrupt, implying that the funds should be closed and the benefits terminated. The bankruptcy charge becomes a special problem for public sector workers, since politicians — who control their pay packages — are influenced by these perceptions. Moreover, politicians and corporate managers can seize on the predicted bankruptcy to do what they wanted to do all along. Senator Daniel Moynihan once pointed out that if people think Social Security is broke, it’s easier to shut it down. No matter who makes it, the bankruptcy charge is a direct political threat to workers’ retirement security, and no one on the Left should succumb to such predictions. In a recent article, Doug Henwood and Liza Featherstone posed a legitimate question: do DB plans overestimate their future returns? I don’t think they made the case. (You can read an initial critique from me, and the authors’ rebuttal, here and here.) Their chief error, in my view, was contrasting a possibly high estimate with an undoubtedly low estimate based on relying only on supposedly risk-less assets (US Treasury bonds) with correspondingly low returns. The pair then segued into tales of Wall Street villainy, describing investments that are not simply risks but outright scams. After reading this, we could be forgiven for believing that investments in sketchy private equity, hedge funds, and whatnot have endangered DB plans. But that is simply inaccurate. The fundamental controversy is whether or not DB plans are solvent, a question that has two dimensions. One is how the plans report their condition and how others might evaluate it. The other is what policies will ensure that benefit commitments are fulfilled. Henwood and Featherstone insist that assumptions of excessively high rates of return are being used to mask the funds’ insolvency. They call estimates in the range of 7 or 8 percent annual returns unrealistic and suggest that 2 or 3 percent — which reflects returns on risk-free government bonds rather than stock market projections — would be preferable. The issue here is really not seven versus two. It is whether it is better to assume returns to equity (stock) or returns to Treasury bonds. The implications are twofold: for reporting practice and for the fund’s investment policy. Answering the second question helps us understand the first. Remember, the relevant time horizon for these investments is thirty to forty years — the length of a worker’s career. Investing today with money you need tomorrow is foolish, as a lot of unhappy people learned in the first week of February. But if you don’t need the money for a few decades, you’ll leave money on the table by limiting yourself to bonds and ordinary savings accounts. Since 2008, the stock market (going by the S&P Index) increased from about 890 to as high as 2,865. Where you mark your time period can make a huge difference: if you only look at the past few weeks, relying on the stock market seems risky indeed. But over very long periods, returns to equity will far exceed those of risk-free bonds. Why shouldn’t a pension fund undertake such investments? And if it does, why shouldn’t it report its future condition based on assumptions of those returns? Further, funds that refuse to invest in the stock market are more expensive than their riskier counterparts. If you only buy Treasury bonds, you must set aside much more to cover retirement. This fact directly affects workers’ ability to bargain for and accrue pension benefits. An assumption of low returns means a promise of low benefits, and the only remedy would be to trade away current pay for future rewards. Yes, stock prices are more volatile than bonds. Prices rise and fall. A fund manager might choose an excessively risky mix of stocks. Once workers begin to retire, it would be costly for the fund to sell some stock at a loss in order to cover benefit payments. So funds need to maintain portfolios with a mix of assets, some less volatile than others. People with the requisite expertise get paid a lot to do exactly that. Finally, Henwood and Featherstone cite my former employer, the Government Accountability Office (GAO), to bolster their claim of overestimation: “GAO itself finds the use of historical returns statistically problematic.” My name appears on that report, but the phrase “statistically problematic” does not. Some plans are in very bad shape, but that doesn’t mean the whole system is in danger. Henwood and Featherstone cite another GAO report, as follows: “A 2012 GAO study of state pension funds found increased underfunding.” An increase on an unspecified base does not mean that most plans are facing insolvency. The former is an incremental change of unknown magnitude; the latter is a statement of overall ill health. My knees are getting worse all the time, but I’m still fully ambulatory. Despite the recent economic downturn, most large state and local government pension plans have assets sufficient to cover benefit payments to retirees for a decade or more. However, pension plans still face challenges over the long term due to the gap between assets and liabilities. Not quite apocalyptic, is it? Henwood and Featherstone’s attention to hedge funds and private equity is a red herring. Such investments tend to be a small proportion of pension fund assets, often in the single-digit range. The worst mistakes — like selling bonds and using the proceeds to buy stock — take place when funds have already gotten behind the eight ball. 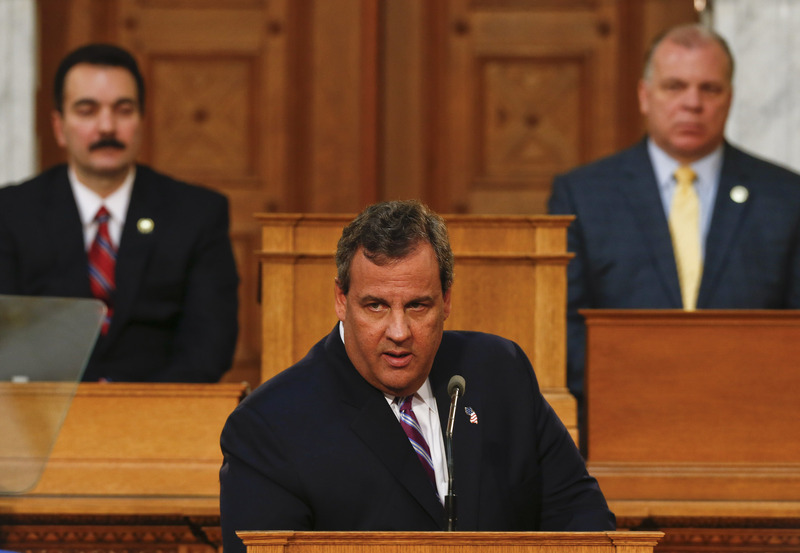 The real danger to public pensions comes from elected officials’ inability to ensure that adequate contributions are maintained, as New Jersey so clearly shows. Governors from both parties, beginning with Christine Todd Whitman, diverted pension payments to other purposes, including holding the line on tax increases. The execrable Chris Christie justified withholding contributions on the grounds that the plans were — you guessed it — bankrupt. Of course, fund managers can do lousy jobs or be corrupt. This raises the question of alternatives. DB plans are clearly superior to individual IRAs and 401(k) plans, because individuals are less successful at managing personal investment portfolios. As far as saving for retirement goes, the worker’s worst enemy is himself. The Henwood and Featherstone alternative — more Social Security — is fanciful. I’m all for more Social Security, but they do a lot of handwaving regarding how such a transition would work. In 2017, the maximum Social Security payout was $3,538 a month, or about $42,456 a year. That’s quite a bit less than many DB plan benefits. The simple fact is that switching to an assumption of low returns would blow up a lot of plans. Workers’ savings would likely be channeled into some kind of IRA — which Henwood and Featherstone also condemn — and workers would have to renegotiate employer contributions in the current, relatively unfriendly environment. That’s what would happen, not an expansion of Social Security. Suppose that bankruptcy is indeed looming. Whom should we hold responsible? (Remember that by the GAO’s lights there is some time for remedies to be implemented.) Labor should demand that the employer be held accountable, either for investment mismanagement or for failure to maintain what are called actuarially determined contributions. In this case, the employer is state and local government, which everyone knows are under severe fiscal stress. This crunch — and the concomitant need for a larger, stronger, more ample state and local public sector — is but one front in the full-spectrum political struggle for social welfare. In this context, Henwood and Featherstone’s Social Security alternative is a political distraction. Hard-won benefits wrested from recalcitrant employers are not well defended by pointing to nonexistent public alternatives. Compare Henwood and Featherstone’s proposal to the movement for Medicare for All. The public option has received the benefit of considerable preparation and now enjoys incredible support. But we are still some distance from a full-blown public substitute for the current hodgepodge of individual retirement benefits. In the meantime, the best offense is a good defense. Max B. Sawicky is an economist and writer in the wilds of Virginia. He has worked at the Government Accountability Office and the Economic Policy Institute. Which Side Is Your Pension On?